The rock band Eagles released their super hit Hotel California in 1976 and up-to-date this song remains one of the popular songs that is adored by millions of fans around the world. The hit song Hotel California is well written both lyrically and musically. This song contains a deep connotation and was written by Don Felder, Don Henley and Glen Frey. The song was an instant success. Many believe that Hotel California is not a place; it is a metaphor. 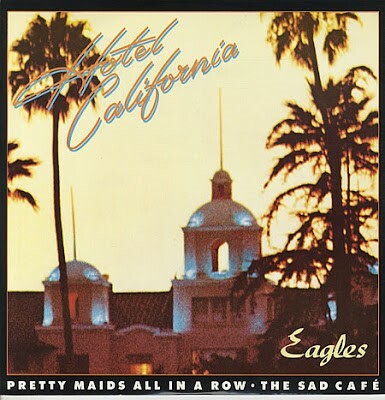 As the true interpretation of Hotel California, Don Henley told Rolling Stone magazine once that Hotel California was about facing some of the harsh realities of fame and life in Hollywood.” On the contrary there are several interpretations of Hotel California. The narrator is on an exotic experimental mind journey. The Dark Desert Highway” refers to a craving drug trip that has a disastrous aftermath. The warm smell of Colitas (the Spanish term for tumble weeds) makes his head heavy and sight dim. While high on cocaine, he has delusional feelings of grandiosity. He feels more energetic and sociable. While on his wild drug trip the narrator experiences euphoria and hallucinations. His mind goes through a mystic fathomless fantasy. Deep sarcasm is associated with the line that states Welcome to the Hotel California, such a lovely place, such a lovely face ” The war is welcoming young soldiers. In every war propaganda is maintained to hide the ugly realties that have horrendous nature. War front is a lovely place and it has a lovely face until the solder becomes a casualty. To depict the harsh realities of the war Don Felder and his co-writers use euphemism to arouse wistful feelings in the listeners. This entry was posted on Tuesday, June 2nd, 2015. You can follow any responses to this entry through the RSS 2.0 feed. You can skip to the end and leave a response.